Aviation communication is the means by which a pilot can correspond with and connect to other aircraft in the sky while also relaying information to the ground. The use of voice and/or data link communication bridges the gap between a pilot and the operational control center, which is further classified into the following two categories: Aircraft Operational Control (AOC) and Air Traffic Services (ATS). Commonly referred to as “Safety Services”, ATS communication primarily takes place between a pilot and an air traffic controller. Through all phases of flight, both on the ground and in the air, communication is a crucial component that pertains to the successful operation of an aircraft. The goal of Safety Services communication is to achieve a standard that will help to eliminate communication error, language, and comprehension difficulties, all of which have been a major cause of operational airspace incidents. Miscommunication between pilots and air traffic control is a prominent factor in fatal crashes, incidents, runway incursions, and mid-air collisions. As the number of corporate, commercial and military aircraft is forecast to increase, Safety Services communication around the world is changing. Transitioning from voice communication to datalink communication referred to as Controller to Pilot Data Link Communications (CPDLC). This transition increases overall connectivity, enabling the exchange of digital messaging via data link communication between pilots and their respective controllers. Safety Services can include one or both of Safety Satvoice or Safety Data. Latitude’s TSO certified products include the S200-012 for Safety Voice and the DL150 for Safety Data. Both units utilize the Iridium satellite network providing the operator with true, clear and global Safety Services communication with air traffic control. On the ground, a pilot may receive ATIS (weather) and PDC (Pre-Departure Clearance) information through a data link. Providing information at a moment’s notice can drive actionable results that translate into increased efficiencies, such as taxi delay savings by aircraft that receive a planned or alternate routing clearance. In the air, particularly over the North Atlantic, Air Traffic Control communication has proven to improve the consistency, accuracy, and effectiveness of the pilot. This improvement in oceanic communication has also permitted reduced traffic separation over the North Atlantic track system. Aircraft using FANS 1/A for this capability in oceanic environments need an ARINC 741 Level D compliant satellite communications system such as Latitude’s DL150. Latitude’s S200-012 and DL150 play a key role in the world of Safety Services communication. Interested in exploring how our complete solutions can address your safety services satvoice needs? 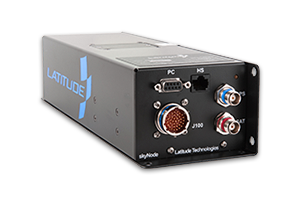 Latitude’s DL150 is a high-performance ARINC 741 Satellite Data Unit (SDU) for the Iridium network. TSO-159b approved the unit meets AC20-140B guidance as an SDU for any aircraft needing to be FANS 1/A+ compliant and supports global CPDLC. 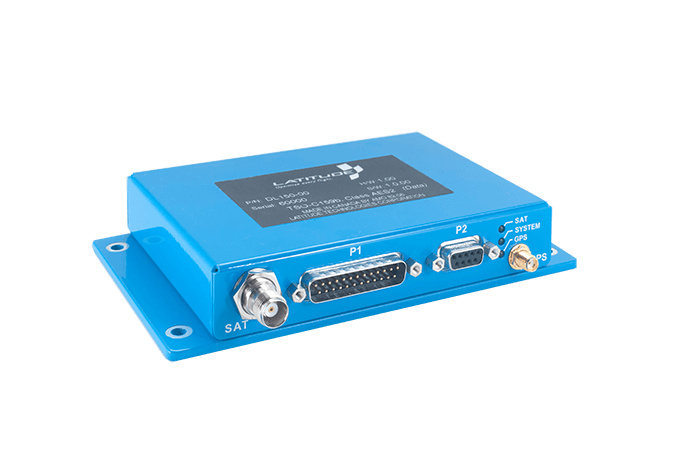 Supporting safety services SATVOICE for Long Range Communication Systems the SkyNode S200-012 brings trusted reliability and is certified to the toughest environmental standards with TSO-C159b. Ensure constant connectivity for pilots to communicate with Operation Control Centers and Air Traffic Services, ideal safety services when it matters most. The DL150-G is for world-wide emergency tracking and distress event notification systems, providing 100 percent global, real-time aircraft tracking, with automatic and autonomous minute-by-minute position updates.